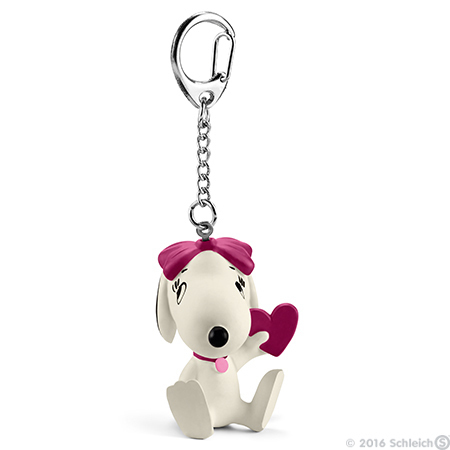 Belle with Heart Figurine Key Chain is made in 2016 by Schleich, 2 inch plastic figurine. The keychain part is made of metal. Brand new, never used or played with. Figurin Keychain comes loose without any packaging but with Schleich tag. Belle is Snoopy's pretty sister. Belle has a severe crush. She has given her pink heart to the one she chose and smiles at him with her puppy dog eyes. Isn't she just gorgeous? Belle is the cutest beagle girl in the world.